Here are two options for a short liveaboard. 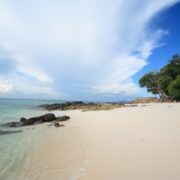 South Siam 3 and South Siam 4 liveaboards are stationed in the Similan Islands from November to April and you can take a speedboat transfer to the boats several days per week. 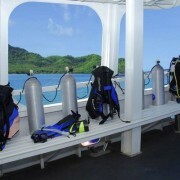 2 day 1 night trips include 7 dives. 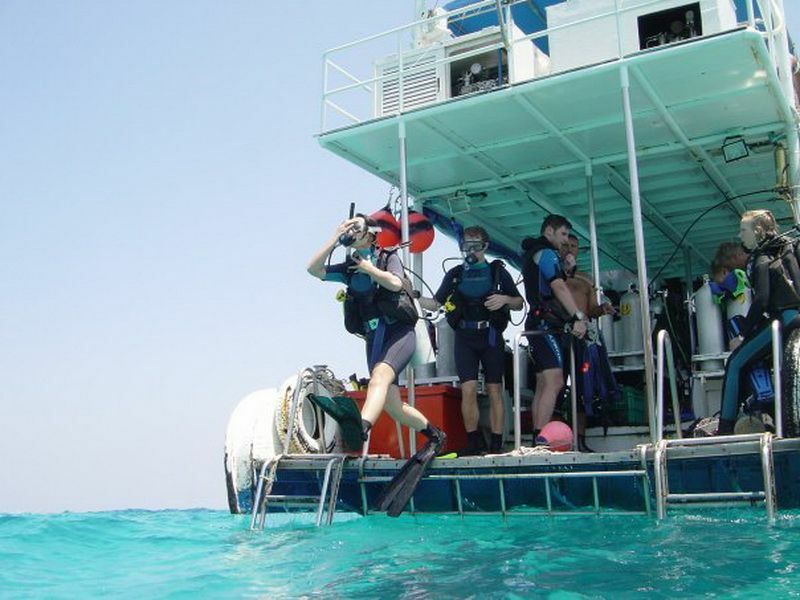 There are 3 day dives and 1 night dive on day one then 3 day dives on day two. On the first day you will be collected from your hotel in Phuket or Khao Lak early morning (6.00-7.30 am depending on your hotel) and transferred by minibus to Tap Lamu pier. 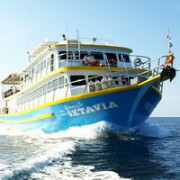 From there you will be transferred by speedboat to the liveaboard in the Similan Islands. 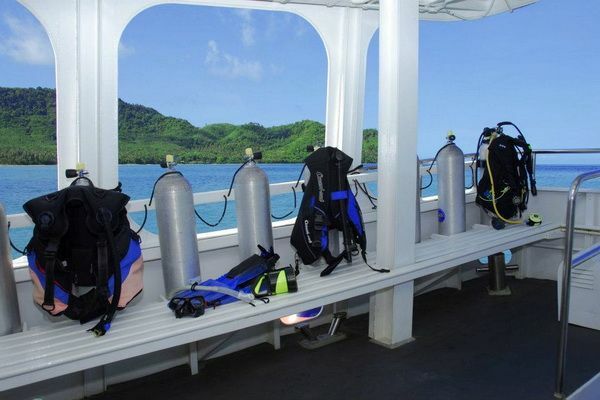 You will do 3 day dives and 1 night dive on day one. On day two there are 3 dives then you will be transferred from the liveaboard back to Thap lamu pier and arrive back at your hotel in the evening. Liveaboard prices include: Dive guide, tanks, weights & belt, all meals, drinking water, return hotel transfers from Phuket main beaches (Patong, Kata, Karon) and central Khao Lak. Liveaboard prices exclude: Equipment rental, alcohol & soft drinks, towels, marine park fees, outside area transfers. Note: If you have not dived within the last twelve months you will be required to dive with a private dive master guide at an extra charge of 2,000 baht per day. 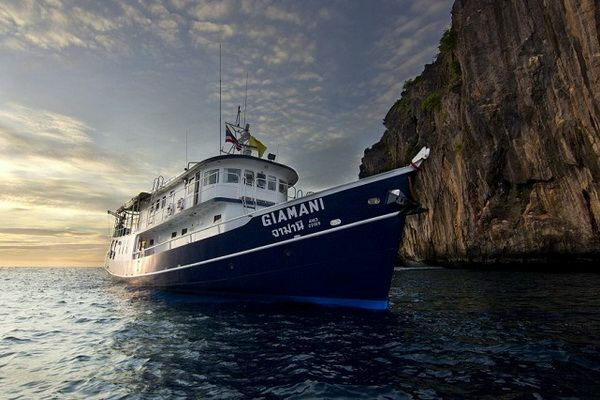 Giamani Liveaboard to Phi Phi Islands accommodates 10 divers in comfortable en suite cabins. Schedule: From May to August Giamani depart from Chalong Bay, Phuket every Tuesday morning, returning every Wednesday evening. There are 7 dives including 1 night dive. Dives are around the Phi Phi Islands including Bida Nok, Bida Nai and Maya Bay plus the King Cruiser Wreck, Shark Point and Koh Doc Mai. There is time enough for some excursions onto Maya Bay beach to go for an evening stroll around the bars at Phi Phi Don. Divers and snorkelers are both catered to equally, Phi Phi has some wonderful places to snorkel. Dive guides and snorkeling guides are provided. Liveaboard prices include: Dive/snorkel guide, tanks, weights & belt, all meals. 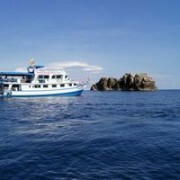 Liveaboard prices exclude: Dive equipment rental (800 baht per day), alcohol, national park fees, transfers to/from hotel. I am looking to do 2 days 1 night LOB diving in Phi Phi Island, Do you have any package for 21th and 22nd March? We are a diver and non diver.